No other family occupies as significant a position in American politics as the Kennedys — especially the charismatic John F. ‘Jack’ Kennedy. His truncated term doesn’t prevent him from being the most popular US President, in his time and ahead, and decades later, still a name to serve as the ultimate political standard. “Senator, I served with Jack Kennedy. I knew Jack Kennedy. Jack Kennedy was a friend of mine. Senator, you’re no Jack Kennedy,” Democratic Vice Presidential candidate Lloyd Bentsen told his Republic rival Dan Quayle in their 1988 election, after the latter sought to equate himself with the late President, leaving him red-faced. In 2017, which is JFK’s birth centenary, there is as much, if not more, interest in the 35th President, especially given the Oval Office’s present occupant. But while all aspects of President Kennedy’s life and tenure have been much written about, one has never received its due attention. 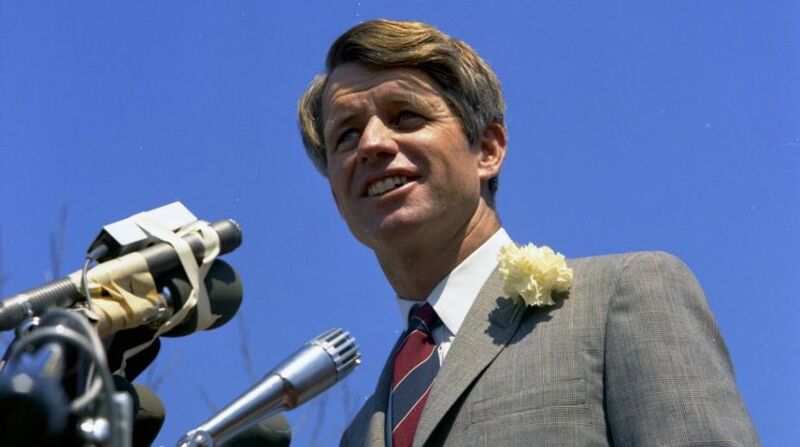 This is his relationship with his younger brother and Attorney General Robert F. ‘Bobby’ Kennedy, who outlived him but didn’t outgrow him, not only sought to carry forward his legacy but even extended it — and was also cut down at his prime with much potential left unfulfilled. And it is this story of Jack and Bobby’s intertwined yet tragic lives that politician-turned-scholar and author Richard D. Mahoney tells here, in an updated version of his 2011 book. Mahoney, whose father was friends with Bobby Kennedy, says that though he had diligently studied the Kennedy papers, the real epiphany came when George Ball, an Under Secretary of State during the Kennedy years, invited him to look at his transcribed telephone conversations, numbering nearly 10,000 and was “stunned at what they revealed”. “The picture they painted of the Kennedys was very different from the treasured anecdotes, those memorable and canonized speeches, or the top-secret memos covering ‘policy options’. What emerged first were traits common to powerful men — expediency, calculation and manipulation. And it is these he dwells on here. Though they were a different set for both the brothers, born eight years apart and possessing varied temperaments and sensibilities, he shows how they also shared a close bond and some common traits, especially their marked capacity to be both “self-creative and self-destructive” which goes a long way in explaining their rise and their success, as well as their defeat and fall. This trait eventually leads us to one of the biggest mysteries of Jack and Bobby Kennedy’s lives and deaths — the plots behind their assassinations. However, what he does is postulate how the powerful enemies — listed above — gathered jointly, or singly, could have been someway linked to their untimely violent deaths. And he leaves us to draw our own conclusions. While most of the lives of Jack and Bobby, and their careers till that fateful trip to Dallas in November 1963, may be known from other works, what distinguishes this is the subsequent life of the younger Kennedy, who always sensed that it was he who had somehow contributed to the assassination. Here we see his familiarity and fondness with the works of Albert Camus, attacking apartheid during a visit to South Africa, seeking a better life for African-Americans, and joining Hispanics in their agitations for rights and fairer wages — till his success in the California primary for the 1968 Democratic presidential nomination ended tragically in a Los Angeles hotel. Political biography and analysis at its finest, this work will be required reading for not only Kennedy fans but for anyone interested in politics — and the extremely high price that power levies.